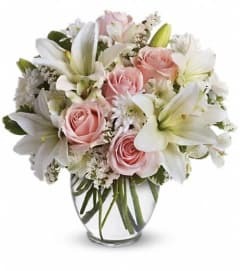 Like a vacation for the senses, this lovely bouquet delivers an oasis of beauty and elegance. Soothing, serene and very special. 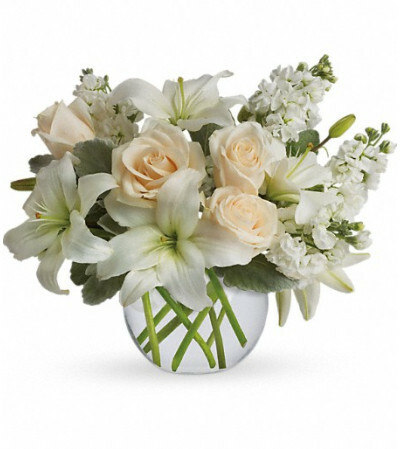 Crème roses, white asiatic lilies and stock stem are incredibly arranged in a bubble vase. When it comes to bouquets, this is definitely the right way to do white.